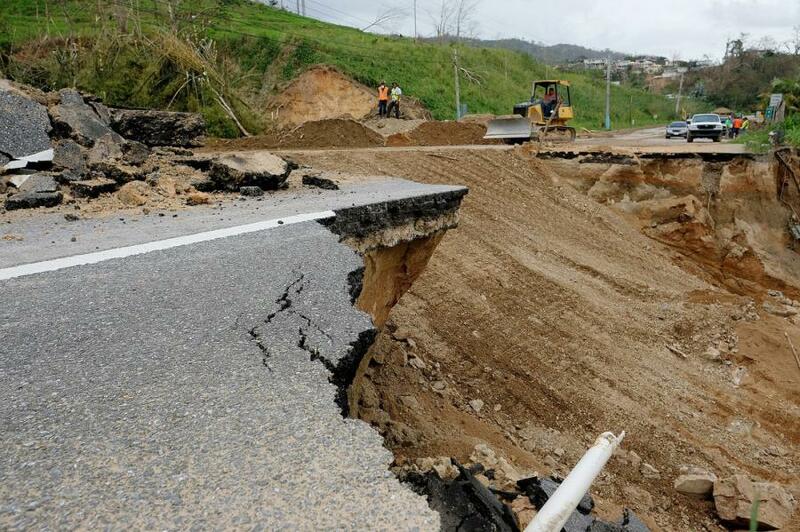 Puerto Ricans have long been frustrated with the state of roads across the island, which worsened when Hurricane Maria hit as a Category 4 storm in Sept. 2017. Puerto Rico's governor plans to invest $652 million to repair and maintain the U.S. territory's crumbling roads over the next three years. Ricardo Rossello said April 9, that an initial $80 million in local funds will target areas in critical condition, which represent up to eight percent of all roads across the island. He said results will be noticeable in six months and repairs will involve more than 780 mi. of roads. Rossello said $250 million of the total is coming from the federal government. Puerto Ricans have long been frustrated with the state of roads across the island, which worsened when Hurricane Maria hit as a Category 4 storm in Sept. 2017. Several social media sites have been created to warn drivers about dangerous potholes and their locations.